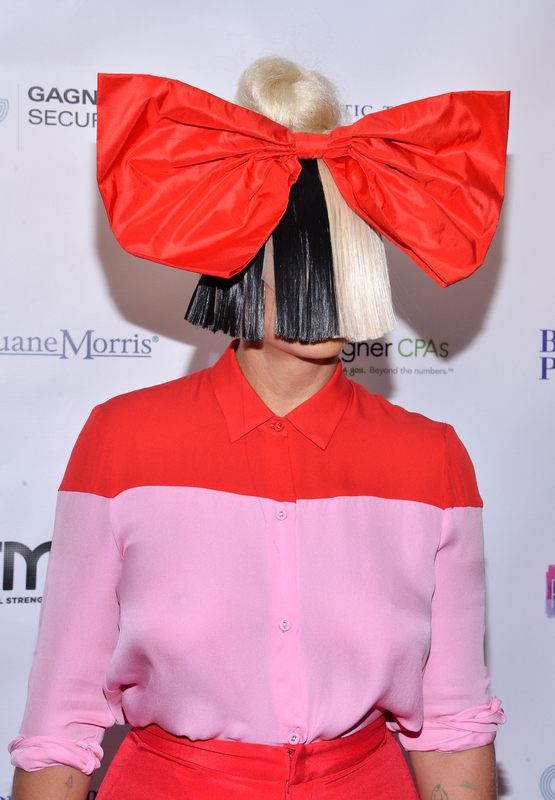 Even while hiding her face, Sia knows how to wow an audience with a performance. The singer and songwriter has long been stunning viewers with her amazing collaborations with dancer Maddie Ziegler. And when Sia performed "Alive" on Saturday Night Live as the musical guest, the singer stole the show hiding her face in a big blue bow and wig. It was already a huge episode of the season, featuring Donald Trump as host, but Sia added to it with her epic singing voice. A dancer that was not Maddie Ziegler joined her on stage dressed in a karate uniform. Sia's first performance of the night was simple, but powerful. She belted out "Alive" wearing her wig and big blue bow, which matched her blue outfit. The dancer with Sia danced her heart out in the karate uniform and a chorus behind them added to Sia's golden voice. It was low-key, but a welcome respite from the levity of this being the episode hosted by Donald Trump. And, judging by her SNL performance, that's exactly what the album will be.